We have clutter in our lives. Some people with books, some with DVDs/CDs and me with makeup. Singles of blushes and eye shadows lying here and there cluttering up my vanity drawers. My MUJI stacked up drawers helped me sort it somewhat. 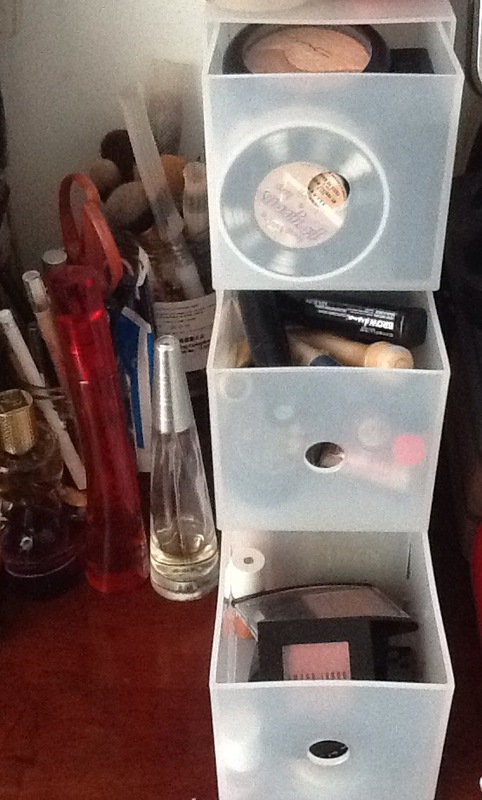 Blushes in one drawer, eye shadows in another, lip sticks at the botton, mascaras on top but the singles were still annoying me. And for me it’s also ‘out of sight out of mind’. So I dont even end up using some of those singles as I always seem to reach for the easy to access multiples. How do I consolidate this and make my life simple? 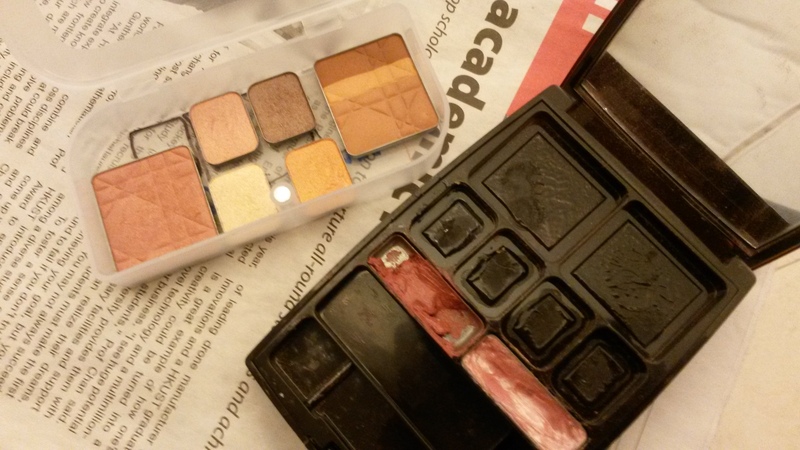 Thats when I discovered Z Palettes and DIY magnetic palettes and Depotting. Basically you remove all the individual pots and pans from their packaging and store them altogether in 1 case. Now I dont have enough vanity space for the CD case/Zpalette option and I wanted something small enough to fit into my Muji makeup drawers and was flat. But finding some things in HK stationery shops is a nightmare, example Magnetic tape or sheets so I embarked on my own version. 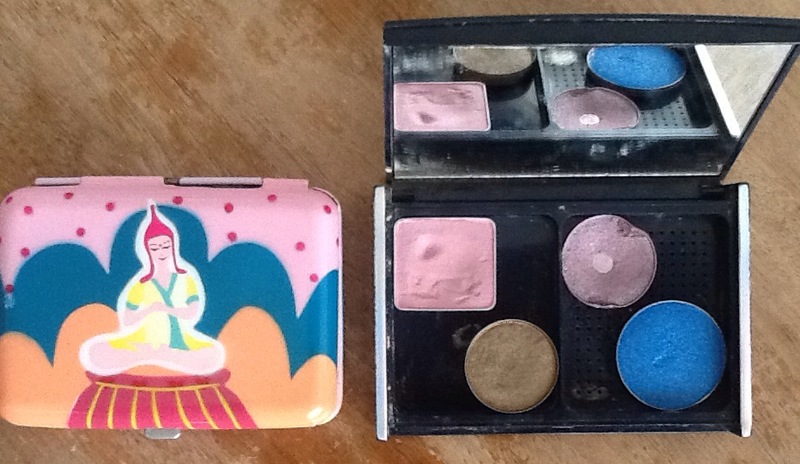 I used a business card holder and an old powder foundation compact ( was the wrong colour) and Elmer’s glue. I depotted the powder foundation to make space. 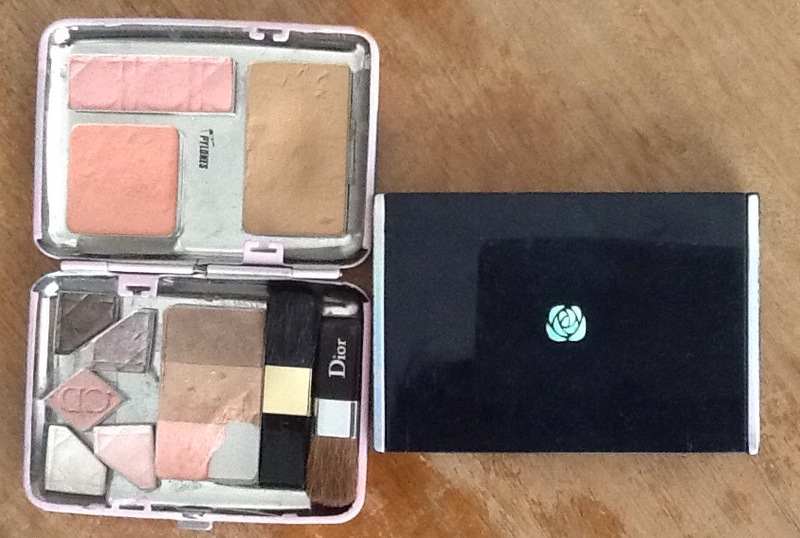 These two cases now house the contents of a DIOR and Benefit palette and 4 single shadows. 6 were depotted but two died. Elmer’s glue over superglue makes it easier to replace the pots once done. 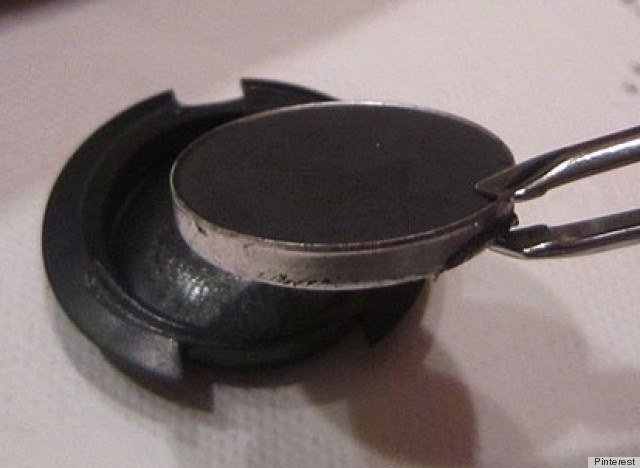 Accidents- This is a given in depotting, or atleast with the novice depotter. See the broken bits of shadow? Some shadows I lost completely and had to bin them. Learnings- Most of the usual brands like MAC, Shu, Max Factor are easy to depot. I think because they know professional MUA will depot to create their OWN palettes. The lesser known ones I bought from Sasa were the ones I lost the battle with. Happy Customer- Me. Less clutter, easy access to annoying singles and less things to carry when going on holiday.